Accredited as being the first micro-pub in our CAMRA area. 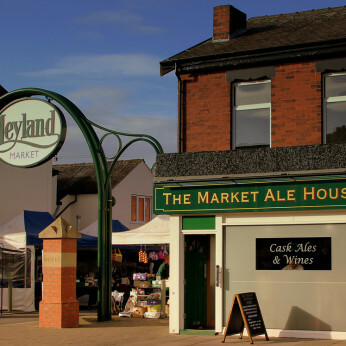 Opened in 2013, we have gained a reputation for selling a very good standard of high-quality cask ales. It is not all cask though, ...we also stock a constant rotation craft bottle beers, ciders, gins, malt whiskies and wines. We have recently been awarded Cider Pub of the Year 2016 in CAMRA Central Lancs and also came runner-up in the West Pennine category. If you are looking for some local food why not try one of our Lancashire Cheese Boards or pork pies! We do not sell any lager or spirits have no tv's or music and rely completely on good old conversation to entertain people and create the right atmosphere to relax in and enjoy your beer. We serve a small selection of wines and always have 2 traditional ciders on tap for those who are not keen on ale. Offering a welcoming and friendly atmosphere and we look forward to you visiting us to sample the unique ambience.